Scuba Diving – The Ultimate Adventure Sport! Most sports are played with national pride at stake, and few others are played with a competitive streak. But there are certain sports that border on a particular way of living and are niche to adrenaline junkies. Scuba diving is one of them. The thrill of adventure and the rush of blood while taking that first dive into the deep blue waters are fantastic catalysts for most people who love adventure. Scuba diving is popular all over the world and in India, it is now picking up pace mainly due to the efforts of Planet Scuba India. 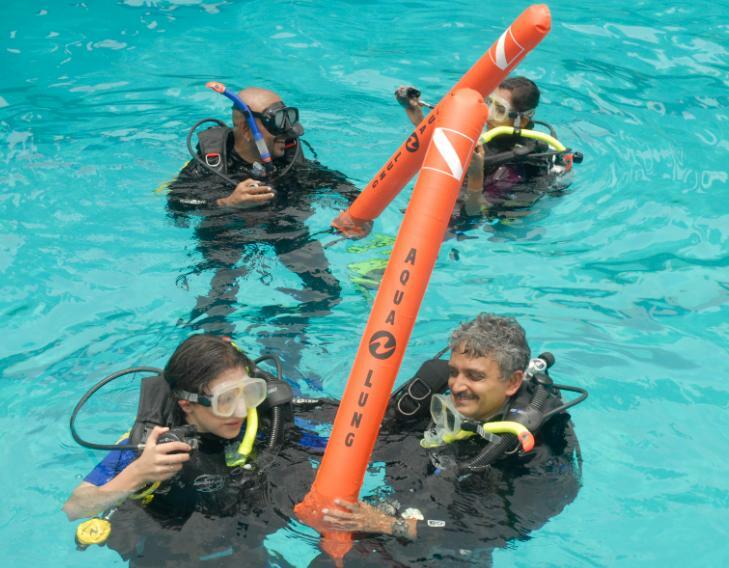 The country’s first inland scuba diving school, based out of Bangalore, is aiming at making scuba diving one of the premier leisure activities for Bangaloreans, without the hassle of travelling to the diving hot spots across the country. Very few adventure sport in the world matches up to scuba diving in terms of fascination, and most people in the world would like to try it out, given a chance. The chance is here. The time is now. Leisure and adventure are two faces of the same coin, when it comes to sports like scuba diving. Once underwater, the diver can experience the beauty of the marine life in near weightlessness, and that feeling is incomparable. It has become a way of living for many people across the world and Indians are taking to the sport like a fish takes to water, all puns intended. So, give the adrenaline junkie inside you a chance to take you through an exhilarating experience. Anyone can dive at Planet Scuba India! Posted on September 19, 2008, in adventure, diving, scuba diving, sport and tagged adrenalin junkies, adrenaline, adventure, adventure sports, diving, life, madhava reddy, planet scuba, planet scuba india, scuba diving, scuba diving india, sport, sports, swimming, water sports, water sports bangalore, water sports india. Bookmark the permalink. Leave a comment.